Over on the forums, a poster asked another about a comment made that the writer used a simplified version of both Technical Grappling and The Last Gasp. The first poster noted that TLG was “complicated,” and asked for what simple rules were in place. While I think I might take exception to the complicated thing, I did wonder what I’d do if I needed to completely and massively simplify The Last Gasp to put it within reach of anyone, easily. Actually, some parts of it work really well. There may be some changes buried inside this post; just roll with them. Long-term fatigue, in GURPS and especially with The Last Gasp, is regular fatigue, tracked with Fatigue Points. When you start play, you will need some tokens or poker chips. I will assume that you have them available in four colors: red, yellow, blue, and green. Take red chips in an amount equal to your HT. Take yellow chips equal to half your HT, rounded up. You will get green chips equal to 1 plus any extra FP you bought. The remainder are blue, such that your yellow, blue, and green chips add up to your HT+FP. Example: A warrior is HT 11 with 3 extra FP. He will take 11 red chips and 6 yellow ones. He will get 4 green chips (base 1, plus the 3 he bought with extra FP). That leaves 4 blue. These represent your store of FP that you can spend. Each time you spend one, you move a chip to the “spent” pile, green first, blue second, yellow third, red last. When you recover FP, you recover green first, then blue, then yellow, and red last. For simplicity, spending green tokens costs you nothing. The moment you spend a blue token you’re at -2 to DX, HT, and IQ, and -20% to ST. Spend your first yellow token, and you’re at -4 to DX, HT, and IQ, and -40% to ST. Spend in the red, and all your stats are halved (-5 to DX, HT, and IQ; -50% to ST), and every red chip also costs you 1 HP of injury. Recovery takes longer. Your base recovery rate is 20 hours/Starting FP (including extra FP). Red chips recover at 1 FP regained per 12x your base rate. Example: With 14 FP to start, our hero will recover at a base rate of 1 FP each 1 hr 25 min, which is close enough to 1.5 hours that we shouldn’t care. So he’ll get back his green and blue chips at one per 1.5 hours, his yellow will take 6 hours each, and red are 18 hours each. There are pretty cool rules in the article for making Will rolls to continue doing stuff every time you spend a FP, representing your body shouting at you to Just Stop. Ignore them for the simple rules here. The entire point of The Last Gasp is to try and make lulls and flurries happen organically in combat. To make conditioning matter in the game, and to make the Rope-a-Dope (exhausting your foe) a valid strategy. You start with black tokens equal to your HT. In this simplified treatment, you get no bonus AP for training, you can’t buy extra AP, or anything else. Use these simplified AP costs. Attacks and defenses each cost 1 AP. So do Feints and the use of combat techniques. If you took All-Out Defense as your maneuver, your first defense is optionally no cost. Any use of a step or retreat also costs 1 AP. Yes, if you step and retreat in one turn, that’s 2AP. If you took All-Out Defense and also retreat, you still pay the retreat cost. Movement beyond the step costs a flat rate: 2 AP for up to a half-move, 4 AP for up to a full move. Once you have started sprinting, these costs drop to 1 AP per turn as long as you maintain the sprint. Getting injured costs you 1 AP for every HP/10 you take, drop fractions. Ready actions cost 1 AP. This includes drawing a bow. Might want to say that moving around anything more than BL/10 (so 2 lbs for ST 10) costs 1 AP. Drawing an arrow (0.1 to 0.25 lbs) or a pocket pistol (the Kahr 9 is 1.6 lbs loaded) would be 0 AP. Example: yes, this means step-and-attack costs 2AP, and that Move-and-Attack, a full move as part of an All-Out Attack and similar combinations of moving and hitting will cost you 1 for the attack, one for the initial step, and 4 more for the full move (6 AP total). All-Out Attack (Double) and Rapid Strike are each 2 AP, since you strike twice. Turns you spend doing pokey things can regain AP. Do Nothing: Roll HT+4, recover AP equal to Margin of Success (minimum 1), up to your max. Wait or Evaluate: If you pass the turn and don’t do anything that costs you AP, roll HT and recover AP equal to margin of success (minimum 1). If you have advantages or disadvantages like Fit or Unfit that modify HT, you do get this bonus (or penalty) when rolling to recover AP. While I might have missed something, basically if it’s not exhausting like an attack, defense or move, nor really passive like an unused Wait, Evaluate, or Do Nothing, it neither costs nor returns AP. By and large, powers and spells that cost FP and are supposed to be combat useful should probably be transitioned to AP at a rate approximating 8:1 to 10:1. If you have 0 AP you can’t take actions that cost AP. Period. If you must do something, you have to first burn a FP to recover some AP, and you do that by getting back AP equal to half your HT (not including any extra FP! ), rounded up. If spending those FP impose penalties, they happen right away. You may not burn FP unless you’re at 0 AP currently, or the action you intend to take (mostly movement) will take you to 0 AP or below. One option that occurs to me is to make the Will roll mentioned as ignorable under the long-term section above before you can spend the FP to get AP back. That’s quick, requires no bookkeeping, and is self-enforcing. There’s a box on p. 13 of the article that gives a no-bookkeeping way to deal with a horde of NPCs and mooks using without driving the GM mad. Go read it there. The article itself covers things in more detail, with more options, and finer shades of meaning. Regeneration, the effect of high skill on AP and FP use, lots of stuff that those that like details will say “yeah, but . . .” and I tried to cover it. If you find yourself taking exception to the simplifications made here, you might find that it’s worth your time to go look at the full version. The overall point of The Last Gasp is to drive an action economy. So that attack-attack-attack-attack-attack with defenses and movement in between in a few seconds of frantic combat isn’t the go-to model for all of GURPS. That’s a pace of action thing. Clearly it’s possible to wail on a heavy bag for multiple punches per second for many seconds. But it’s freakin’ tiring. Imposing a cost for sustained action will tend to moderate the average pace of combat, which (perhaps counter-intuitively) will actually allow more teamwork and “I’m coming to your rescue!” actions. The Last Gasp is a neat concept, and those that play with it have appreciated it. Using tokens to represent your expendable resources is a nice, tangible, and easily visualized way of managing these quantities without resorting to erasing holes in character sheets. Applying penalties for Long-Term Fatigue based only on the color of the chip you just spent is, again, a nod to minimal book-keeping, though it does make it less of an “every FP spent counts” event. +Jason Packer posted a worthy GURPS 301 post about one of our favorite topics, the Evaluate maneuver. Obviously, in The Last Gasp I tried to give it some legs by making it a recovery option. But Jason threw down an idea that occurred to me as well in passing when I was reading a thread on the Forums, though I don’t remember which one. I’ll give Jason the credit here, since he fleshed it out, but using the normal Quick Contest mechanics in place of the fixed-bonus Evaluate maneuver makes a ton of sense. The attacker might roll Per-based weapon skill; the defender uses their DX-based roll. I’d add double the DB of any cloaks or shields to this, since it should obscure and deny angles of attack. If the defender took All-Out Defense, I’d probably go ahead and give double bonus to the QC as well (+4 in this case). I see no reason why the Evaluator can’t use Committed and All-Out Evaluate, as well. I’m going to stare at you so hard I won’t defend myself makes little sense in a one-on-one combat in many situations, but it certainly does make sense for the assassin hiding in the shadows and waiting for the foe to expose something important. As usual, you get the margin of victory on the Quick Contest as a penalty to the foe’s defenses, just like a Feint. I’d give a +2 to each consecutive attempt to a normal maximum of +6. Why do I like it? It explains a lot of the oddities about Feints that occasionally bug people – how a Feint with a two-handed weapon does not unready the weapon, but somehow makes the foe open themselves up enough to suffer a huge penalty to defend, potentially. It also makes Evaluate skill-dependent in a useful way. A novice can look and look and he just won’t see the openings in his foe’s defenses. An expert can take a quick glance (Defensive Evaluate!) and see five openings in a novice. It will, of course suffer the same “issues” as Feint has currently, though being Per-based, it gives a good way for stalking monsters with high Per to leverage their cunning. Combined with the purely physical Setup Attack, it makes a good IQ-based counter. This actually gives me yet another idea, but I have to talk to +Peter V. Dell’Orto about it first. It’s generally found, I’ve noticed, that not too many people take the Evaluate maneuver in GURPS combat. At “only” +1 per turn, by and large it’s a less desirable option than whacking away at your foe with your weapon of choice. Since many fights seem to involve a lot of circling – which could be cascading Waits, could be Evaluates, likely a bit of both – but GURPS fights largely don’t, Evaluate gets left by the wayside. I tried to rectify that somewhat in The Last Gasp, since taking Evaluate was tagged as a “Recovery Action,” something that gave you a bonus but also let you recover Action Points. It spawned a healthy number of posts, and so today’s Melee Academy open panel was born. Many posted either on G+ or in the comments section of the announcement post, but I’ll summarize them here, plus throw down my own ideas. +Paul Stefko offers his own thoughts. +Joseph Mason also wrote down his final conclusions over at Dice and Discourse. Over at Don’t Forget Your Boots, mshrm weighs in with Evaluating Evaluate. Entirely different way of going about it: allow combatants to take Enhanced Defenses, Extra Attack, Peripheral Vision, increased weapon skill or other appropriate Advantages with the modifier Requires Evaluate, which states that the advantage in question is only available if you’ve Evaluated as your most recent maneuver. To encourage Evaluating, make the modifier generous: Takes Extra Time is only worth -10%, but in these cases it’s probably worth -20% to -50%. How useful is Peripheral Vision if you can neither attack while using it nor gain the benefit out of combat (unless you’re wary enough to proceed down the hall at a stepping rate, which is… actually fairly realistic)? Not nearly as useful. The ability to effectively defend your own sides, or just defend better overall, while you accumulate an Evaluate bonus will make it appealing in situations where you’re against a better/many opponents. When using The Last Gasp, ape a bit from All Out Defense and give Evaluate 1 free AP for making defenses. When using Setup Attacks, on any successful defense against a Setup you get a bonus to your MoS equal to your current Evaluate bonus. This is really just an extension of the rules from MA100. Allow combining Evaluate and Wait into a single maneuver – if your Wait can only be triggered by a specific target, and a full round passes without your Wait being triggered, the Wait is retroactively an Evaluate instead. Allow Evaluate to accumulate up to a +5 bonus. Allow Evaluate to negate at least some of the penalties of a Runaround Attack or similar. My expectation is this would make Evaluate very popular for one-on-one duels, and not so much for melee free-for-alls. First, what is someone doing when they evaluate a target? Watching them closely, effectively “aiming” there weapon? If that were all, I almost feel that it would be easier to defend against… and we already have this effect with telegraphic attack. If they are watching a foe, looking for an opening, what does that mean? Is an “opening” something that is easier to hit, or harder to defend against (or both)? And isn’t the latter is already handled better by deceptive attack or a feint? I kinda feel like evaluate is a special form of “Wait”. Just the trigger is an “opening” which GURPS doesn’t currently have (to my knowledge) any mechanical definition of. One way to do this would be just get rid of Evaluate all together and give a +1 to hit per turn of Wait (max +3), till the wait is triggered. (Ranged 1-hex waits, already work this way IIRC). Another option is to make Evaluate the inverse of a Feint. Have a (per-based?) melee combat skill vs enemy combat skill (to not be obvious?) and give the MoS as a bonus to hit on the following turn. My fear is that this would not help the low skill attacker that RAW Evaluate might currently be working for. Combine Evaluate with Wait. Your triggered maneuver must be an Attack or All Out Attack on the evaluated foe but it gets the bonus from turns spent Evaluating. Instead of +1, the first turn gives you a training bonus based on your best melee or unarmed skill. This is analogous to the Acc. from an Aim. The bonus also applies to your next active defense against that foe as well as your next attack. Or maybe half the bonus. You may use the rules for contests of wills while also evaluating. my bit of heresy – build it into Feint. Evaluate is an option instead of taking advantage of a successful feint. 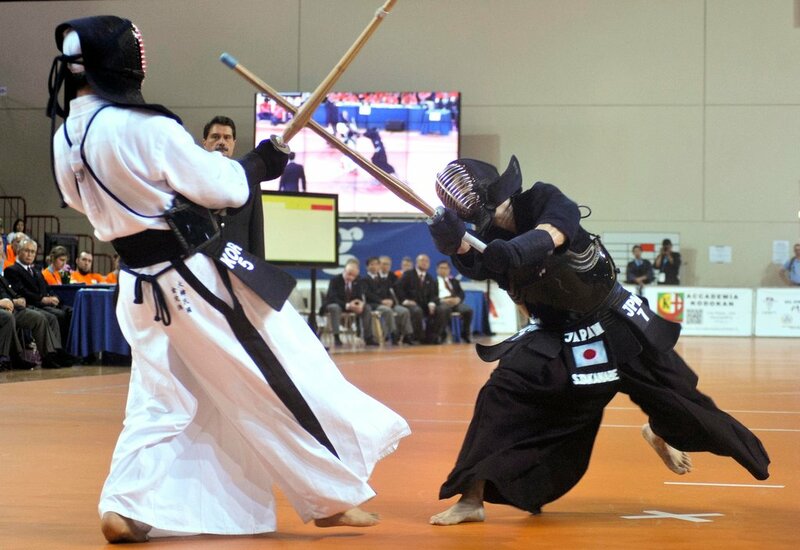 The idea is that evaluations happen while performing various routines to probe the opponent’s capabilities. When the players makes a Feint, his comparative margin of “success” is an unknown value (he could have even failed, GM may hint it went well or poorly – no exact values). Maybe the GM uses a face down playing card. The player has the option to take advantage of it as a feint or as an evaluate. He only knows when he decides on using it up as a penalty to defenses but not when he uses it as a bonus to the evaluate. Gamers like to roll dice. Pretty clearly, weapon skill should matter in spotting openings. And it’s a pretty good bet that spotting an opening involves Perception in some way. I’m going to eschew the obvious and see where it takes us: I’m going to make it not a quick contest, but an an attack-style action. Declare an Evaluate. Roll Per-based weapon skill as an attack. If your attack roll succeeds, you are, at the very least, at +1 to defend against your foe’s next attack (if he throws several blows, you only benefit on the first one). If you fail, you get no bonus. If you critically fail, your foe may defend as normal, but if he succeeds, he gets his margin of success as a bonus to his next attack. If you critically succeed, your foe gets no defense against your effect roll (below). Your foe makes an active defense using his best weapon skill (much like a feint), or shield if it’s better. You may also roll 3+DX/2 if it’s better. Anything that adds to active defenses, such as Combat Reflexes (you’re an experienced fighter and good at hiding your motions) or even the DB of a cloak or shield (it hides your actions) also provides a bonus. This can include billowing robes or a hakama, if you believe the stories that it hides your footwork. Further, the GM may give a bonus equal to half the usual penalty given by Physiology Modifiers, p. B181 . . . but treat machines based on how similar they are to humans. A humanoid robot might be at +1 because it doesn’t have the usual tells, but still employs familiar guard stances. Something that looks like an Imperial Torture Droid or Lightsaber Drone would be “utterly alien” and get +3 to this roll. If the defense works, then the attacker has managed to disguise his motions or otherwise hide what his intentions are. I see no reason not to allow the usual “deceptive attack” type -2 to skill for every -1 to the foe’s defense. If the Evaluate succeeds and your foe fails to disguise his intentions, you may make an effect roll. I’m going to say base it on Per-based Tactics (! ), which in many cases will be Per-6 unless you’ve spent points. However, we’re going to used “Trained Tactics,” which gives a progression like that found in Technical Grappling as a bonus, and in kind to the ST bonuses you get for Wrestling. +1 at DX+1, +2 at DX+2, +3 at DX+4, +4 at DX+7, and an additional +1 for every 3 points of skill thereafter. Look up this number on the thrust column of the Damage Table (p. B16). Evaluate Defense: DX-based would be 12; Parry-based would be 13; Block-based is 12. Make your roll, and you get to roll and keep that as bonus points to spend against your foe. These points may be spent! Repeated Evaluates may accumulate, but never more than the maximum possible roll. In the case of our example warrior above, he may never “bank” more than 5 bonus points. This visual probe and bonus might replace, to some extent, Feints – especially if the game also uses my Setup Attack option from Pyramid #3/52 (Delayed Gratification). Evaluate might make an interesting alternative to All-Out Defense in some cases. You can trade those points for bonuses to defense that can exceed those of AoD. It’s easy to see how two evenly matched opponents might spend a few turns Evaluating and counter-Evaluating in order to avoid getting lopsided bonuses stacked against them. There ought to be a way to combine this with a Wait; maybe treat it as a Telegraphic Rapid Evaluate (WTF?) and treat it as a -2 penalty to Evaluate roll, and your foe defends at +2, but you also enter a Wait state while you’re evaluating, and so can pre-empt your opponent’s move if your Wait is triggered. So it’s harder to pull off (because you’re telegraphic your evaluate, and Wait is always obvious), but if it works, you not only may preempt your foe’s move, you get bonus points to spend on your own attack before you spend them on his defense. There’s a naked return to the “Tactics can be used in Personal Combat” flavor of the skill description, by using it as the basis for an effect roll. Joe Average has Per-based Tactics-4, which means that most often, you’ll have to wait six seconds for a measly +1. Assuming you can do it at all. But you do get that +1 to defenses, which might be worth it if you’re punching at DX, or using a weapon at default. Sure, it’s different. But I like attack and defense rolls, and I like effect rolls. Giving skill points to spend is novel, true, but I like how you can use it to help outguess your foe’s next move, either by allowing deceptive attacks or better defenses. Characters who are serious about fighting might be Per-based Tactics of 14-16 and have training bonuses of +3 to +5 pretty easily. Such a beast, with an effect roll of 1d+2 to 2d, will do terrible things to foes if given a chance to stare them down. Pure weapon fighters, with high relative skill but not-great Tactics will be more usual, with +3 for Training Bonus (DX+4 skill) not uncommon, and Per-based tactics ranging from 4-6, making the effect roll based on about 1d-3 or 1d-2. Not huge, but not bad either (up to 3-4 points). The other options that have been listed are good stuff. Christian’s Serendipity Engine is particularly cool, and the specificity of the opening, and the speed with which it’s generated, make for great flavor. It might even be possible to combine the two methods: roll randomly for what’s open and denied, but provide several options from which the player can choose to spend his bonus points. I picked Tactics because of the phrasing about Personal Combat, and to prevent a typical warrior from being a death god just by being Johnny One-skill. Studying fight Tactics is worthwhile, and it might even be interesting to model “he fights by Tournament rules” as a big bonus to defend against Evaluates. Anyway, I like the attack/defense roll as part of GURPS. And I like effect rolls. This is an attempt to force Evaluate into that mold as an alternative to the interesting options provided above. Wackiness ensued. In fact, it’s likely still ensuing. So, since a bunch of us on that thread were headed in that direction anyway, we decided that this Thursday’s GURPS-Day topic would be Melee Academy: Evaluate (GURPS 301 version). In this case, though, this is a senior-level course. GURPS 301: Evaluate and house rules, to be exact. Right now, Evaluate is a tough sell. This has been remarked on before, in other sessions, but the juices are flowing and it’s time to marinade the steak. If you could rewrite the Evaluate rules, how would you do it? A follow-up to my GURPS-Day post from yesterday. One concept that came up after the comment threads was whether a DWA is really an All-Out Attack (Double) and should just be left that way. I don’t think so; after all, the picture in that post is me training dual-weapon use, and getting in a strike with each hand and also parrying is explicitly what we do, and it can happen pretty fast. 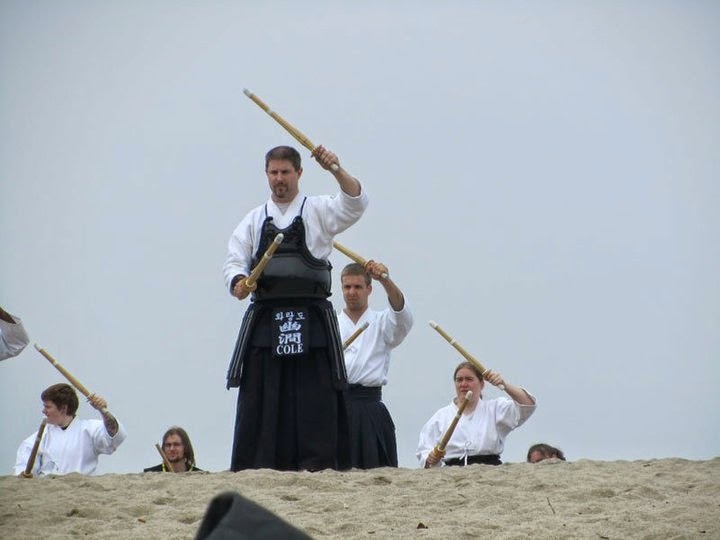 That’s one of the reasons to use such light, balanced weapons (could be sticks, too; often is with escrima, and I have to imagine it could be knives or even machetes for something a lot nastier than a bamboo shortsword). Still, there might be some merit to simply treating attacking with both hands like that as a dedicated variant of Committed Attack. This variation on Committed Attack (Martial Arts, p. 99-100) allows the fighter to strike once with every limb, either simultaneously or in sequence. 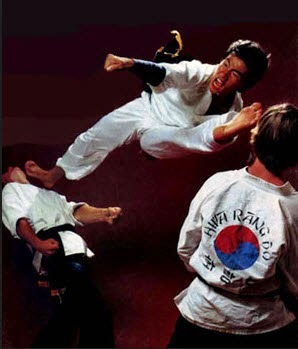 This type of strike is taught in any style that teaches two-weapon fighting. Make one attack per limb, unarmed, with a ready melee weapon, or a one-handed ranged weapon like a pistol. If you’ve got tons of arms, you can group them. A six-limbed creature could make three multi-limbed attacks with a bow or slingshot or rifle, each of which requires two hands. Each attack is at -4; this is not per limb, but a general penalty per group of attacks. You may target any hit locations on one foe that you wish with each attack, so long as it is in reach. It can and often is combined with Rapid Strike. Each subsequent group of attacks is at an additional -6 to hit. So launching four strikes with a pair of escrima sticks would be at -10 each. Abilities like Weapon Master or Trained By a Master that halve Rapid Strike penalties do not halve the -4. If you were doing the same four strikes with WM or TBaM, they’d each be at -7. This maneuver does not negate the effects of striking or defending with the off-hand; buy Off-Hand Weapon Training or Ambidexterity to mitigate. Aiming Ranged Weapons: Pick one. The rest are un-aimed unless you have appropriate advantages like multi-targeting or whatever. Option: If you want those first strikes to be more accurate, but they get worse the more you do, make them grouped: the first two are -4/-4, the second -10/-10, the third (!) -16/-16, or -4, -7, and -10 with the right advantage (WM or TBaM as appropriate). 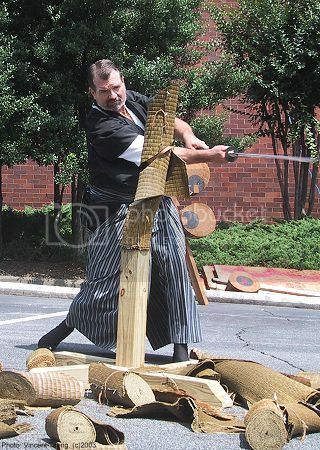 Active Defense: The attacker is at -2 to all defenses, but may only make one-handed parries. If you are launching flurries of Multi-Limbed Attacks using Rapid Strike, each additional group imposes an extra -3 to Parry. Example: You wish to strike a foe four times, twice with each of your limbs. You attack at -10 per strike, parry starting at -5, and block (unlikely to have a shield) and dodge at -2. If you have to parry twice before your next turn, that -4 per additional parry stacks, making your first parry -4 and the second -8. Not exactly where I started yesterday, but this one might mirror better my experience training with two weapons. You can hit very fast, and getting in four strikes in one second alternating is not beyond reason. A base Parry of -5 to do that doesn’t seem too far wrong, and eating a skill penalty of -10 on each attack meas that do to it you’ll likely have to throw telegraphic attacks, meaning you’re still doing it at -6 each, and they’re +2 to defend against (but hey, four attacks eats up your foe’s parries quickly as well). It might wind up being a simpler option than the usual DWA box, too. It feels like a better trade-off of attack and defensive ability, and stacks and combines with Rapid Strike in a way that enables, rather than forbids, player actions. I’ll just start by assuming the conclusion: Dual-Weapon Attack should die. I’m not saying it doesn’t serve a purpose, but I think Dual-Weapon Attack should be relegated to a special case of Rapid Strike, rather than a separate thing. Let’s look at DWA vs Rapid Strike, and see what gives. First something I’d really forgotten, which assaults my initial premise right away: DWA is an optional rule to begin with, found tucked into a box on p. B417. Except for one obscure edge case involving throwing lots of shuriken at someone, you may not Rapid Strike on the same maneuver in which you DWA. But again, what does DWA do? It allows two attacks with a single Attack maneuver instead of an All-Out Attack (Double). This allows the attacker to retain defenses, a big deal. It requires the use of both hands, using two different weapons or fists. Each attack is at a base -4 to hit, but your off-hand penalties (if you have them) stack, making the usual attack -4 in the primary hand, and -8 in the off hand! DWA can explicitly be used with unarmed or armed melee weapons . . . or with a pistol. You can buy it up as a technique to the point that your -4 is at no penalty. You need ambidexterity or off-hand weapon training to deal with the other -4. The foe defends at -1 if both attacks are at one target. You may attack more than one target, but for melee attacks they must be adjacent. Weapon Master or Trained by a Master don’t halve penalties for this attack. So for 10 points or less (5 for the technique, 5 more for Ambidexterity or OHWT, though Ambidexterity has been fiddled with for point cost) you can offset 100% of that -4/-8 penalty. Including shooting at two targets with two pistols, apparently. Found on p. 370, the Rapid Strike is rather simpler. It’s an attack option, so can be added to any style of maneuver. The off-hand weapon penalty presumably still applies if you use that second weapon, but you don’t have to; you may strike with one ready weapon twice, presuming it remains ready after a strike. There is a Ranged Rapid Strike option in Tactical Shooting, which restricts targets to be within 30 degrees of each other; melee attacks suffer no such restriction. Weapon Master and Trained by a Master halve the Rapid Strike penalty to -3. Basically, other than one special case involving fist loads of thrown weapons held in two hands, having only one mechanical pathway to achieving more than one attack per Attack Maneuver is probably better. It allows all of the rules to refer to one place, and eliminates cases where the temptation is to use both (which is disallowed). That being said, what it means is that Rapid Strike will collect cruft. The “I attack the same target with two attacks simultaneously” move is both legit and realistic, commonly trained. That means that collections of modifiers will be required, which isn’t necessarily a bad thing. Rapid Strike is already effectively a Technique (the penalties can even be bought off in the case of Combinations), and treated some of the other options either as modifiers and/or excerpts from the Technique Design System. The foe takes -1 to defend – that’s all defenses! If attacking two foes, they must be adjacent. You must use two different hands or weapons. Which of these is worth anything in TDS? The -1 to all defenses is worth -4 (-2 for the first defense, -1 each for the other two). Must use two different weapons feels like it’s worth +1, and attacking two foes to be adjacent feels like limited target selection for another +1. Also, the -1 to defenses only applies vs attacking one target, not two; let’s arbitrarily break the TDS and say that reduces the value of the defense penalty by half to -2. Not getting the weapon master bonus seems like either a great benefit to get it, or a significant drawback if you don’t. Maybe: I think I see a way. Rapid Strike is just an extra attack at -6. Easy enough. DWA is an extra attack (-6), doesn’t get penalties halved for WM (up to +4), is -1 to defend if you attack the same target, but no help if you don’t (down to -6), the conditional on adjacent targets and two different hands both apply. so final is -4, just like DWA is now. OK, so why not do a rapid strike, but forgo WM halving of penalties . . . especially if you don’t have WM, as most characters don’t? So an unconditional New Rapid Strike is -4 per attack, without all those pesky conditions. And since I don’t have WM, I won’t miss it. If I ever pick it up, each extra attack is -3 instead of -4. Unless, of course, that +2 only applies once. So if you do two attacks, it’s -4, but three attacks is -10, four is -16 without WM, but -3, -6, and -9 with it. That might not be so bad. If you go that way, maybe you don’t have to invoke Rule Zero, and say that only GM-created and/or GM-approved combinations are OK, to prevent the “disadvantage that’s not a disadvantage is worth no points” equivalent. I’m also really tempted to give an additional penalty for changing hit locations: something like -2 for purposefully targeting two locations on the same target, and something like -6 per 60 degrees if you’re attacking with the same weapon twice. Now, though, you’re getting to a place where there are enough options to more than overload GMs and players. This started as just an exercise to try and unify DWA and Rapid Strike with the purpose of eliminating special case rules by ditching the highly specialized Rapid Strike. It’s possible, but painful, to do it. The choices allow you to create things like a split kick, where you can attack any two targets in your front hexes (they don’t have to be adjacent), forgo WM halving of penalties, with two different feet, for Skill-3 (toss in the jump and you fall if you fail the attack for Skill-2 if you like). I’m not entirely sold on my idea; it’s possible to break this out, but I’m sure there are plenty of edge cases missed if you do. Found on p. 60, under the skill description for Tactics, it presents a few different ways Tactics can help you. There’s an abstract option where the leaders roll Tactics against each other, and the winner gets rerolls equal to margin of success. That’s supposed to only be used where you’re not using a map, but we use it with a map in +Nathan Joy‘s Dungeon Fantasy campaign and it works just fine. The mapped options are also interesting, in that they really only talk about initial positioning – but I want to revisit that positioning later. Even in the Basic Set, on p. B347, there’s an optional rule to use character points to buy successes. Furthermore, there are the various Luck advantages, which given how many rerolls a win in the Tactics roll can get you might be underpriced. Finally, Monster Hunters provided an equivalency for points spent in Wildcard skills, destiny points, and character points. Power-Ups 5: Impulse Buys doubled down on this and gave other cool uses for such. Destiny Points and Wildcard “bonus” points can buy successes. Luck and Tactics buy re-rolls, with 15 points of Luck buying effectively 2 rerolls per hour, 30 buying 4 rerolls, and 60 points giving you 12 rerolls per hour of game time. Points that can be spent to stage up successes or stage down failures. Destiny and Bonus point equivalents. Basic Rerolls that are just that. Reroll a trial and hope for better results. Tactics rerolls are like this. Luck Rerolls are two-fers, in that you roll twice more and take the best of them. Positional changes, as part of Tactics. The text above isn’t really meant to lay down “only if” type stuff; it’s really just that right now GURPS offers buying direct successes (with restrictions on what you can influence), and re-rolls, which are lower certainty. Plus some positional advantage options that come in using the tactical map. The lovely thing about wildcard skills is really in those bonus points. They’re the reason they’re attractive in many ways. That being said, in Alien Menace, we have situations that occur and would really be best solved by “my character would never/always execute on this tactic.” Rerolls and buying successes are a good way to make that felt. Meta, but good. But we don’t use Wildcard skills. We do, however, use Tactics. Those rerolls make for excellent reflection on the quality of the troops. The restriction on using them on those with whom the “Leader” can communicate gives real advantages to tactical radio nets and the like. One of the interesting things is that while Tactics, especially with re-rolls, is supremely awesome, Soldier, the professional skill of being in the military, and including such things as when and how to use cover and concealment, is basically crap. It’s the defining skill of professional soldiers in many ways – much more so in describing NPCs and whatnot than Guns (Rifle) is. And yet there’s no real incentive to drive it up beyond a few desultory points.Especially with the new option in Martial Arts, Tactics is the way to go. So let’s change that. They’re both IQ skills, and a lot of what Soldier describes, Tactics does better. And cheaper. So let’s make Tactics a default from Soldier, in fact, it’ll be Tactics is Soldier-4. OK, now Soldier is more interesting, and the go-to for things you care about. This makes Born Soldier and Born War-Leader (GURPS Power-Ups 3: Talents, p. 12) even more distinct, which is good. I think the split between rerolls and bonus points is worth preserving. So we’ll keep it. The first thing that will happen to make Soldier more interesting is that training in it will provide bonus points to be used to influence the local environment a bit. Look up your relative skill level on the size and speed/range table, and you get the Size modifier in points for any given combat or engagement. The GM will need to decide. This means you get 1 bonus point at IQ+3, 2 points at IQ+5, and 4 points at IQ+10. In short, you don’t get that many, and since you tend to spend them in bunches, they shouldn’t prolong combat that much. If you like the skill progressions from Technical Grappling, use the Average progression, but beware that after IQ+10 (still a lot of points) it only takes +3 in the skill per bonus point. Now, that happens to be the same 12 CP per bonus point you get from wildcards . . . and maybe that’s fine. The other thing that these bonus points might be spent for is each one can be traded for an extra yard of movement (or 20% of Move, whichever is more) when seeking cover doing a Dodge and Drop with a retreat, or some other potentially life-saving movement. Yes, this can get you out of the range of a grenade explosion! I’m going to nerf this contest a bit, but also throw in a bone. At the beginning of each combat, everyone can make a Tactics roll, either at default (IQ-6 or Soldier-4), or from actual skill. Success gives you one personal reroll. A critical success gives two. A critical failure gives the other team’s leader an extra reroll. Both leaders roll Tactics, and you look up the margin of victory +2 on the Size table (so margin 10 gives 6 rerolls, 15 gives 7, 30 gives 9). Both leaders roll Tactics, look up their margin of success with the +2 as above on the Size table, and keep that number of rerolls that can be handed out to anyone. Both leaders get rerolls to hand out if they both succeed. Both leaders roll Tactics, look up their margins, but they cancel out.Basically the same as above, but only one side gets rerolls. Yes, I nerfed the usual “use full margin of victory” thing. Sure you can use it, but that’s a lot of rolls. For an example, Team Alien Menace’s AB Karabus has Tactics-15, and he makes his roll by 10. Team Sectoid has Tactics-10, and succeeds by 4. Using Margin of Victory, AB’s margin is 6, looking that up for Size gives +2; AB gets 4 team re-rolls. Using individual stats, AB gets 6 rerolls, but the Sectoid leader also gets 3. They can both use these for their team as they see fit. Using the final method, AB gets 3 rerolls. Additionally, every warrior may choose to make a Tactics roll (it’s not mandatory; a Sectoid drone with Tactics-5 defaulting from IQ would not necessarily have to make the roll). If they succeed, they get a personal re-roll of their own, If they critically succeed, they get two. Only if he has studied his Agrippa . . . which I have! One last thing: it might be interesting to give foes who have studied your field manuals (for those defaulting Tactics from Soldier) a leg up. Use Tactical Familiarity, a perk just like Style Familiarity (Martial Arts, p. 49), to represent being trained in a particular set of methods and tactics. If a reroll is being used on you, you can cancel it. Once. If you’re the team leader and you’ve studied the other guys’ playbook, you can cancel out a reroll used on any team member if (a) you’re in communication with them somehow, and (b) you make a Leadership roll. This skill represents a combination of basic military training – the lessons taught at “boot camp” or its equivalent in your game world – and actual combat experience. Only those who have served in an army, militia, etc. are likely to know it. The GM may require a Soldier roll whenever circumstances would test your battlefield discipline (knowing when to shoot, use concealment, take cover, etc.) or skill at practical field survival (e.g., keeping your feet dry and eating when you get the chance). This one reads to me like it’s a heck of a lot more than what it’s usually used for – the ancillary stand-in skill for all the small stuff like field-stripping an M16 or digging a foxhole. That’s boring – critical, but boring – and does not incetivize professional soldiers getting more than modest skill levels here. Giving bonus points for combat tasks based on investments in a non-Wildcard skill might be too powerful. But it also might be just the right power, even expanded to things like weapon skills. One of the things about all of these rerolls and bonus points is that it can – and in some books, was even suggested to – lead to a bidding war. I want to spend two points to turn a success into a critical success. My foe spends three points (or whatever) to “see it and raise” and make me fail. That’s sucky. I’d recommend that a foe can spend his own points to cancel out yours, but not alter the effect. If you’re spending points to raise your success to a crit, he can use his own to say “nuh-uh.” That’s all. No partial cancels, either. You either spend two points to cancel the two for a crit, or none. If I spend five points to make a crit fail into a crit success, you can cancel two points to drop me to a success, one to make it a failure, and two more to keep it as a crit fail. I don’t know that I’m going to institute this in Alien Menace. It needs playtesting and tweaking, and this is the sort of character creation decision that really needs to be in place as character concepts are formed. But I like the overall cut of the jib here. Soldier matters more, there’s a reason to have Soldier-20 (and default Tactics-16), but you can also get Tactics without Soldier if your character concept calls for it. Plus: more excuses to use bonus points is good, and I do like that.